In January 2017 c*change, the DST-NRF Centre of Excellence in Catalysis hosted in the Department of Chemical Engineering, is organizing the first ever Faraday Discussions event on the African Continent. Faraday Discussions, a conference series promoted by the Royal Society of Chemistry , are held in a unique format to the scientific community. Focusing on topics from physical chemistry, chemical physics and biophysical chemistry, oral presentations are given by both invited speakers of high international standing as well as speakers selected from submitted abstracts. In contrast to other scientific conferences all speakers have to submit a novel research paper which is peer-reviewed and distributed to all delegates before the meeting. At the meeting itself speakers have only five minutes to present the core findings and conclusions of their paper before it is opened for an extended discussion which is recorded in detail and subsequently published along the paper in the Journal Faraday Discussions (IF 4.606). 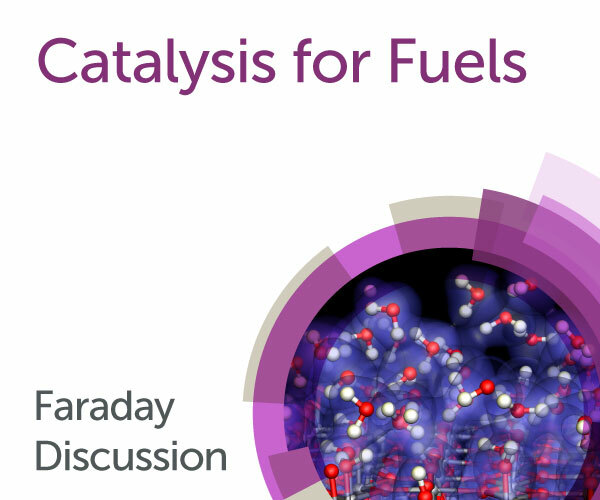 Focusing on the topic of Catalysis for Fuels, leading scientists will meet in Cape Town on the 24th to the 26th of January to discuss newest developments in the field of catalyst design for synthetic fuels, hydrocarbon conversion, novel photocatalysts and insights from theory. The scientific committee consists of researchers from c*change (Prof N. Coville (WITS), Prof E. van Steen and Dr N. Fischer (UCT)) as well as international researchers and is chaired by Prof G. Hutchings FRS (Cardiff University and scientific advisor to c*change). Invited speakers at the event include eminent researchers such as Prof Nora de Leeuw (University College London), Prof Matt Neurock (University of Minnesota), Prof Ding Ma (Peking University), Prof Unni Olsbye (University of Oslo), Prof Avelino Corma (University of Valencia), Dr Philip Gibson (SASOL), Prof Kazunari Domen (University of Tokyo) and Prof Michael Claeys (Director of c*change, University of Cape Town). While the deadline for the submissions of oral abstracts has passed, the submission for poster abstracts only closes on the 31st of October 2016. Both c*change and the Catalysis Society of South Africa have made special bursaries available for postgraduate and postdoctoral fellows at South African HEIs to attend this prestigious once in a lifetime opportunity. More information on the event as well as the draft programme can be found under the web presence of the Royal Society of Chemistry.